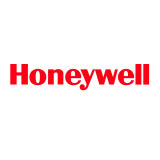 Honeywell International Inc is a fortune 100 company founded in 1906 by Mark C. Honeywell. The company has its headquarters in Morristown, New Jersey and serves worldwide by producing various products such as commercial and consumer products, engineering services, and aerospace systems for government and private corporations. The technological solutions are offered in the sectors such as safety, security, and energy. The company employs more than 132,000 people with approximately 19,000 engineers and scientists. The company delivers quality, value, and technology always. The company has the following business units Aerospace, Automation and control solutions, Performance materials and Technologies, and Transportation systems. There are currently 0 consumer reviews about Honeywell International Inc available. Share your review. Please take a note that you are about to post a public review about Honeywell International Inc corporate office on CorporateOffice.com. This review will be public, so please do not post any of your personal information on this website. If you would like to contact the corporate offices of Honeywell International Inc, please use their contact information such as their phone number, website, and address listed above to contact them. However, sometimes staff from Honeywell International Inc headquarters do read the reviews on this website.